The new-look Ravens offense is off to a flying start. The defense also performed at a high level in the season-opening 47-3 victory over the Buffalo Bills. Nonetheless, coach John Harbaugh tempered some of that enthusiasm at his Monday press conference. "There's a lot of things we can improve on," Harbaugh said. "We had communication issues. We had technique issues in different areas and all three phases. You look at the good stuff and go 'okay, fine.' But then you look at things you need to get better at." The Ravens play the Bengals on Thursday night in a key battle in the AFC North. One of the benefits of the short week is Baltimore has a chance to carry the momentum of the dominant performance against Buffalo into that game. 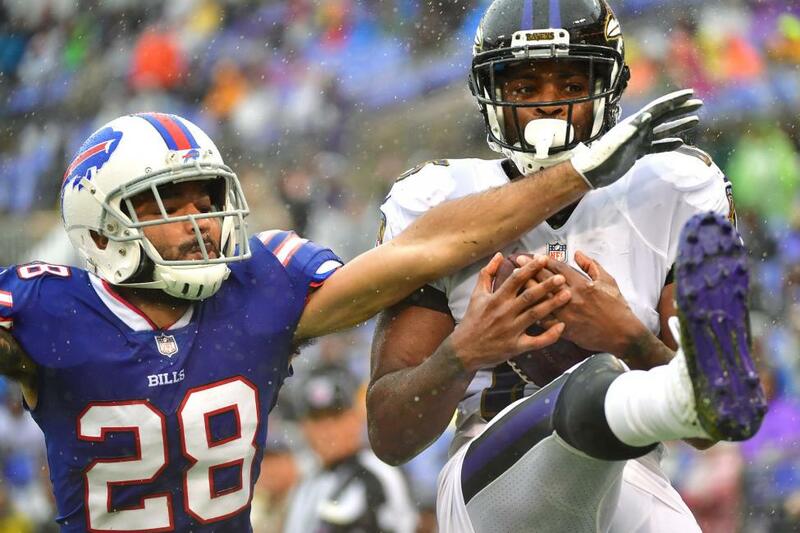 Baltimore racked up 369 yards against the overmatched Bills. Baltimore last scored at least 40 points in a 2017 win (44-9) over Detroit. The 47 points against Buffalo were the most Baltimore scored in a season opener, better than the 44-13 victory over Cincinnati in 2012. Quarterback Joe Flacco was 25 of 34 for 236 yards. He also threw touchdown passes to all three of his new receivers -- John Brown, Willie Snead, Michael Crabtree -- and finished with a 121.7 passer rating. That was another encouraging sign moving forward. "Anytime you can go out there and have a performance like we did, it's great," Flacco said. "But we have to make sure we carry it over to next week. It's going to be a quick week. I think we're ready for it. We always are, but we just have to make sure we build on this." The Ravens also thrived under new defensive coordinator Don Martindale and finished with six sacks and a pair of interceptions. Baltimore also held Buffalo to just 153 total yards, marking just the second time since 2012 that the Ravens have held a team under 155 yards. "I think (Martindale) called a great game," linebacker Terrell Suggs said. "Whatever they threw at us, we were able to answer. We just executed on defense. It's the first game. We did some good things, but we're going to focus on the things that we didn't do so well and try to correct them for Thursday." The Bengals will pose a bigger challenge, especially on the road. However, the Ravens are confident heading into that game. Baltimore could also be looking for a measure of revenge. Cincinnati knocked the Ravens out of the playoffs on a last-minute touchdown in Week 17. "We just need to keep it rolling," safety Tony Jefferson said. "We've got a short week this week. Just keep rolling." --RB Kenneth Dixon had to leave Sunday's game against the Bills with knee injury in the fourth quarter and was not at practice the following day. Dixon led the team with 44 yards on 13 carries and a TD. He missed all of last season with a knee injury. --CB Maurice Canady was not able to practice Monday for undisclosed reasons. He was questionable last week with a thigh injury. Canady also missed time last season with a knee injury. --CB Tavon Young, who missed the entire 2017 season because of a torn left ACL, had a pair of sacks in the opener against the Buffalo Bills. He became the first Ravens defensive back to have two sacks in a game since Bennie Thompson registered three against Jacksonville on Nov. 10, 1996. --QB Lamar Jackson got the nod to serve as the backup to Joe Flacco over veteran Robert Griffin III in the opener against the Bills. Jackson, a former Heisman Trophy winner had a shaky start, but settled down once he got more reps. Jackson ran for 39 yards on seven carries. He also completed 1 of 4 passes for 24 yards. --CB Brandon Carr made his 161st consecutive start, most among active defensive players. Carr had a key interception that led to a touchdown. Carr's performance is critical while fellow cornerback Jimmy Smith serves a four-game suspension. --RB Alex Collins finished with 13 yards on seven carries and was benched after a second-quarter fumble. Coach John Harbaugh called the fumble a "technique issue". It's unclear whether Collins will start the following game against the Bengals. --PR Janarion Grant had a 51-yard punt return that led to a field goal by Justin Tucker. However, he also fumbled a punt that the Ravens were able to recover. Grant finished with 55 yards on six punt returns. He will need to perform better to keep the job.